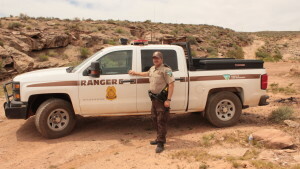 ST. GEORGE — Bureau of Land Management Ranger Scott Lowrey spends the greater part of his time protecting the numerous resources of Southern Utah. 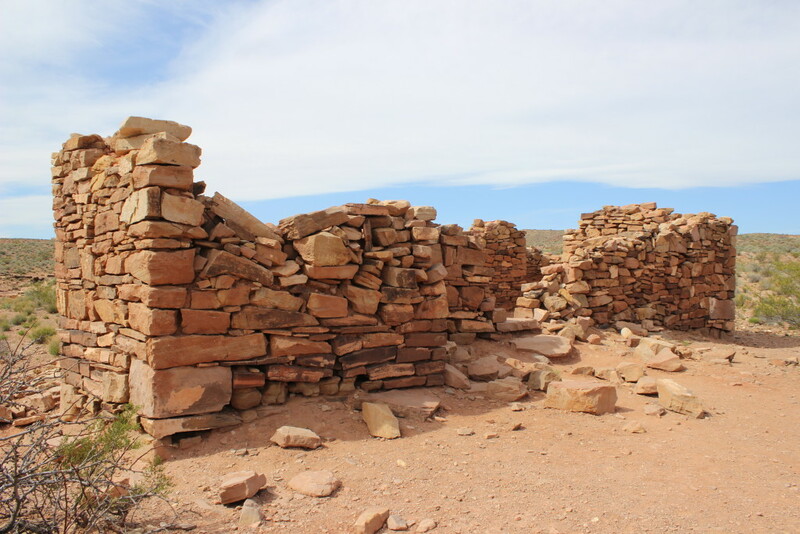 Whether it is petroglyphs, fragile landscapes or the crumbling ruins of Fort Pearce, Lowrey devotes his time to ensuring there will be something left for future generations to enjoy. But Lowrey’s job is not just to protect resources, he said. He also fills the role of rescuer, educator, tour guide and scientist. When it comes to cultural, historical and paleontological resources, Lowrey said, much of their importance lies in the stories they tell. When those resources are disturbed, destroyed or stolen, the context of those stories is permanently lost. 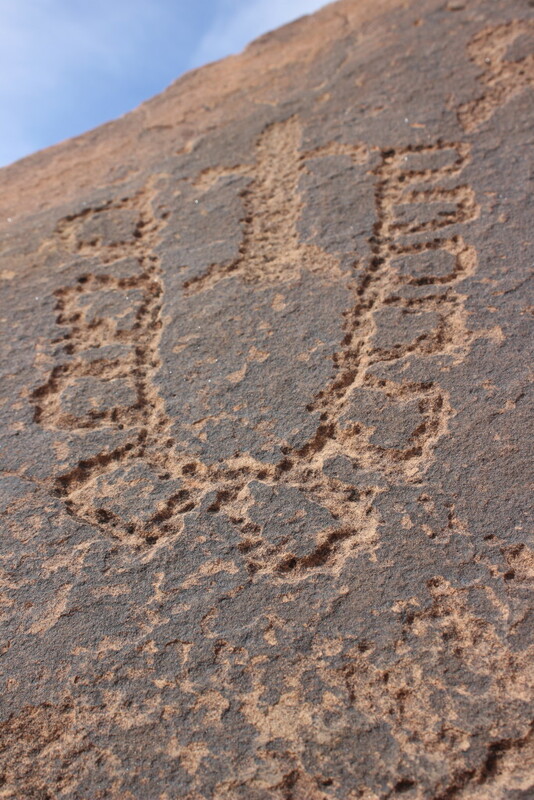 “It would be a true shame if a day came when we could not walk out and see these artifacts in place where they were left and learn from them,” Lowrey said. The area covered by the BLM St. George Field Office is vast. Some 629,000 surface acres in Southwest Utah — from the Beaver Dam mountains in the west to the mesas near Zion National Park in the east, with rivers, lakes and caves — are all part of the BLM St. George range. Yet with only two rangers assigned to this network of public lands, the task is daunting. 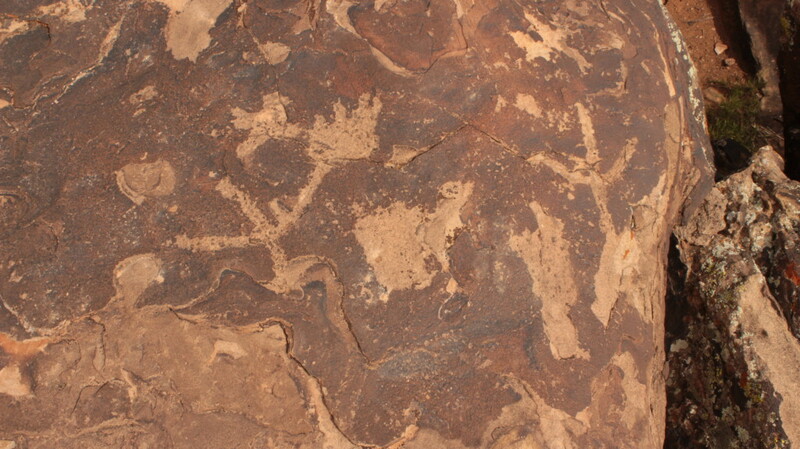 At the Land Hill site in Santa Clara, dozens of petroglyphs from numerous eras have been carved into the sandstone patina of what is known as “desert varnish.” Bighorn sheep, horned figures, an alien-like being and abstract patterns overlook the meandering Santa Clara river below. 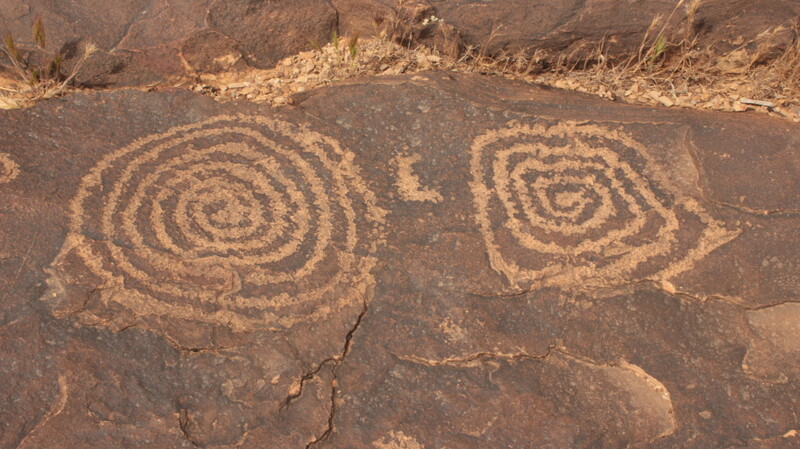 Unfortunately, more modern carvings, such as a smiley face and graffiti, have also shown up beside the petroglyphs. 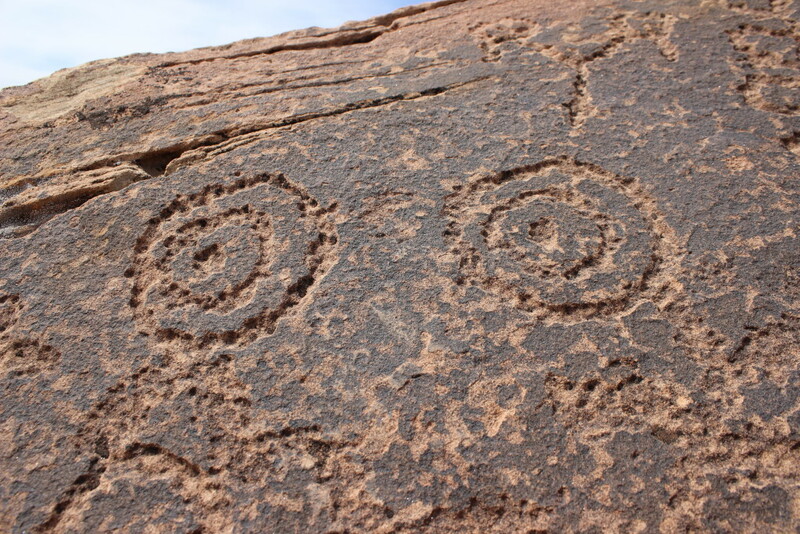 The BLM has been able to remove some of these, but others, such as the smiley face, are likely going to remain for the foreseeable future. One of the more egregious examples of vandalism is when someone scratched “so easy a caveman could do it” onto a boulder at the Land Hill site. 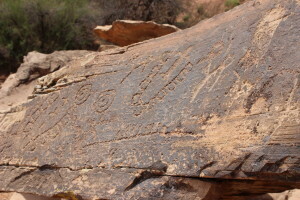 Fortunately — unlike the smiley face — the words were not chiseled so deeply into the stone, and the BLM was able to erase most of the evidence of the words. Today, lichen grows over the rock and only close examination reveals any sign of the graffiti. 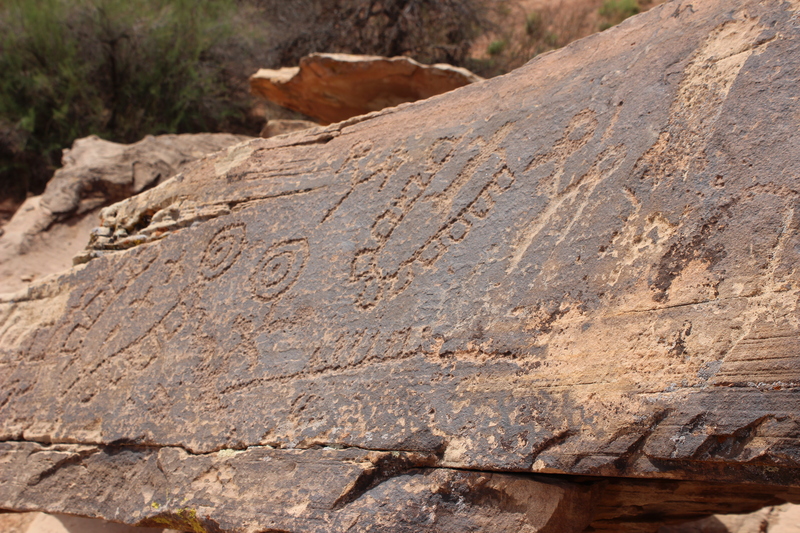 Most of the vandalism the BLM deals with is done out of negligence rather than destructiveness. 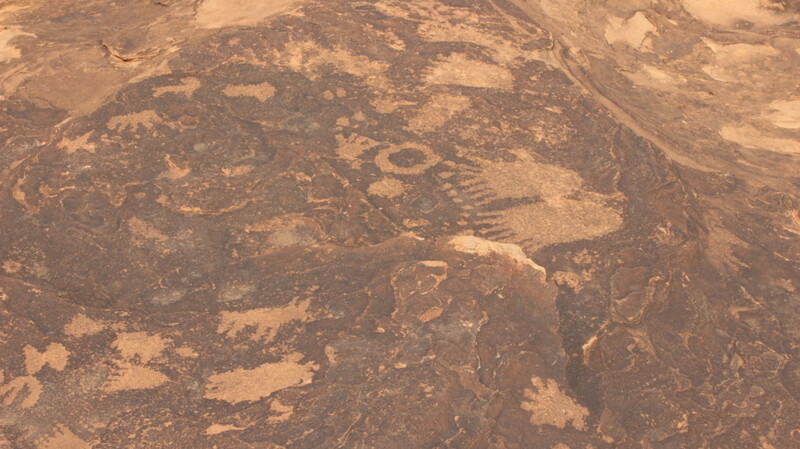 Visitors walking across or sitting on petroglyphs is common. Some of the damage is not committed by adults but rather by children. Education is one of the weapons Lowrey uses to fight vandalism. 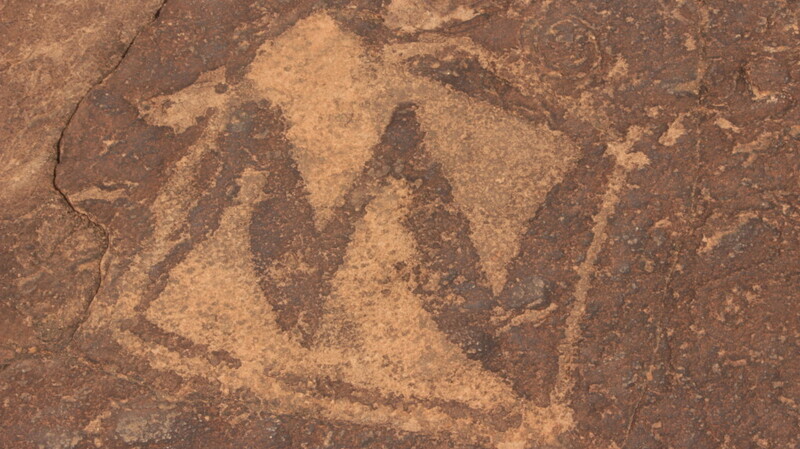 Many who do deface cultural sites do so more out of ignorance instead of maliciousness. “Part of that is making sure people have the knowledge and appreciation that, that has an effect,” Lowrey said. Despite having to deal with serious crime, Lowrey said, the local police departments and Washington County Sheriff’s Office are always willing to help when looking for vandals, something which he greatly appreciates. At a site near the Cove Wash Trail in Santa Clara, Lowrey pointed out another of the more difficult issues the BLM has to deal with: garbage. The area is littered with refuse in all directions. Clay pigeons, shell casings, water bottles, broken glass, mattresses and even old television sets can be seen beside the road. As a marksman himself, Lowrey said that using firearms doesn’t mean leaving garbage behind. “You come out, you do your shooting activity and then what you use for targets leaves with you,” he said. Lowrey emphasized that the large majority of people who visit BLM lands aren’t despoiling the area. Yet the actions of the few are affecting the experience of the many. The area is popular with a diverse group of users, from all-terrain vehicle riders and firearm enthusiasts to mountain bikers and hikers. The BLM has to consider all of these uses in addition to wildlife concerns, Lowrey said. “People move to Santa Clara just so they can have an atmosphere like this where they can come out and hike and bike and walk and ride. 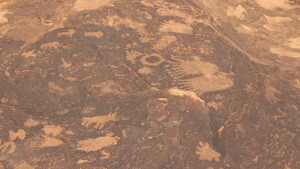 We at BLM, we support those multiple uses and we work to make them happen,” he said. Enforcement … takes up a good amount of time, (but) education far outstrips enforcement day to day. 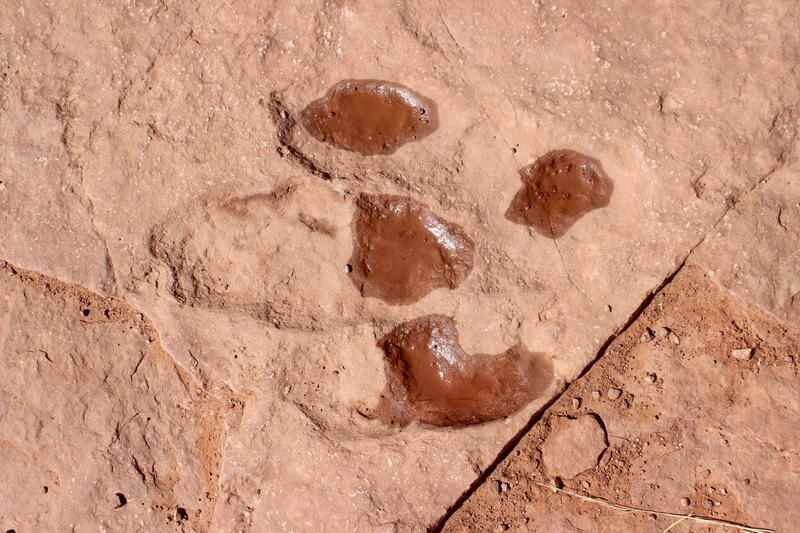 People come out here looking for a particular activity or a particular site or a particular use. I’d like to say when I’m out here patrolling, I make that happen by giving good directions and having a good knowledge of my area and passing that on to visitors who come to use and enjoy this area. Those who want to help with stewardship of the lands the BLM St. George Field Office oversees are invited to assist with any one of numerous projects, Lowrey said. 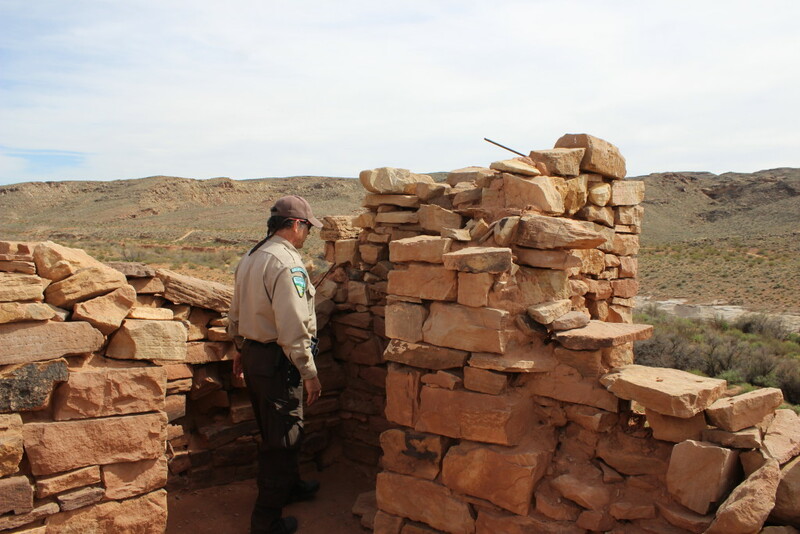 One group that the BLM works with regularly is the Southwest Utah National Conservation Lands Friends. Additionally, the Boy Scouts often do cleanups and other projects in the area, and other groups are active as well. Susan Crook, land program manager and director of Southwest Utah National Conservation Lands Friends, said her group works closely with BLM law enforcement to help protect the resources on public lands, in particular the Red Cliffs and Beaver Dam Wash national conservation areas. 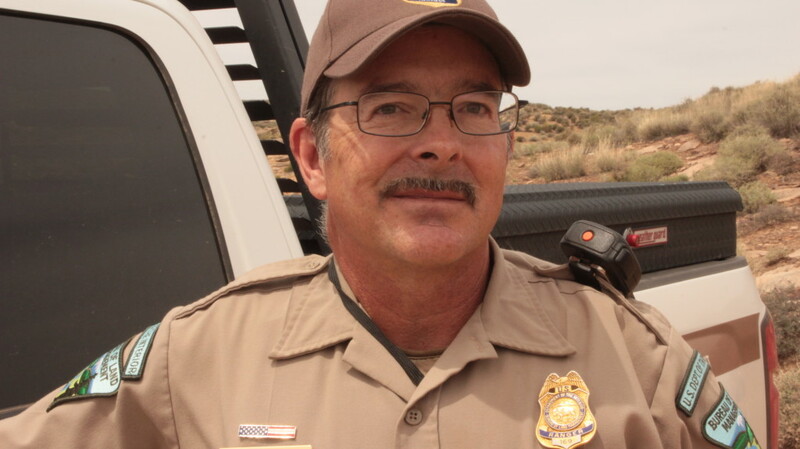 Considering the vast area Lowrey has to cover, volunteers within the organization provide additional eyes and ears to assist him and the staff of the national conservation areas. “Our site stewards carry emergency contact cards with Scott Lowrey’s cell phone number so they can call him to report vandalism in progress and get his assistance,” Crook said. Good article. He’s there to help prevent stupid and ignorant people that have no Real Life that go to places like this and trash and destroy everything they can because their just pathetic losers. .